We offer several different options for live bait purchase. We have bulk bait and cupped bait for individual use. We also have wholesale bait for bait shops. Our bait cups come with the name of the bait on the cup with care information printed on the cup. Cups also have the UPC code imprinted so that you can use them with your automated register system. If you are a wholesale purchaser we can also offer you bulk live bait shipments with care instructions for getting a long shelf life. 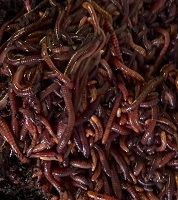 We can ship the cups with the bulk worms so you can cup them for resale when ready. This will increase the longevity of the bait, and will increase your profits. For large quantity buyers in NJ we can deliver to your store by truck if needed, which can quicken your delivery. Great Bait! No Refrigeration Needed!